There's been a string of bad weather across the U.S. It might have you itching to get out of Dodge as fast as possible. Aeromexico has heard your pleas and they're obliging. They're offering some good prices on flights to many locations in Mexico. 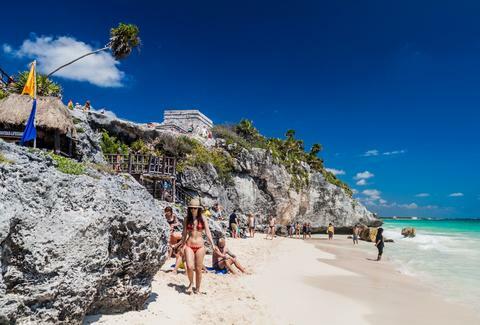 For dates starting in February and as far out as May, you can find yourself on a Mexican beach for as little as $214 flying out of Los Angeles. Roundtrip tickets (including taxes) are available to Cancun for $214, to Cozumel and Huatulco for $218, to Cabo San Lucas and Puerto Vallarta for $221, to Mazatlan for $231, and to Ixtapa for $234. Los Angeles has a ton of options, but there are even cheaper fares available out of other cities. Las Vegas to Cancun is just $184. Just like out of L.A., the roundtrip flight is only $214 out of Chicago. From New York, you can get there for just $257. 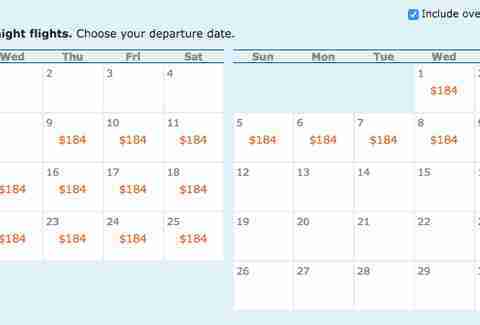 It's $264 out of San Francisco, $283 out of Dallas, and $284 out of Boston and Washington D.C.
To get ahold of these prices, use the ITA Matrix Airfare Search. Enter "CUN" for Cancun or whichever destination you're headed to. Then in the advanced routing code fields for outbound and return routing codes, enter "am+ /f bc=v." Below that, select "see calendar of lowest fares" and enter 3-10 days as the length of stay. From there you'll get a calendar with loads of cheap flights. Before you know it, you'll be enjoying your vacation so much you won't even remember what city you live in. You should probably get a wristband that says "My name is ________. Please return me to the ________ airport on _______ so I can go home."